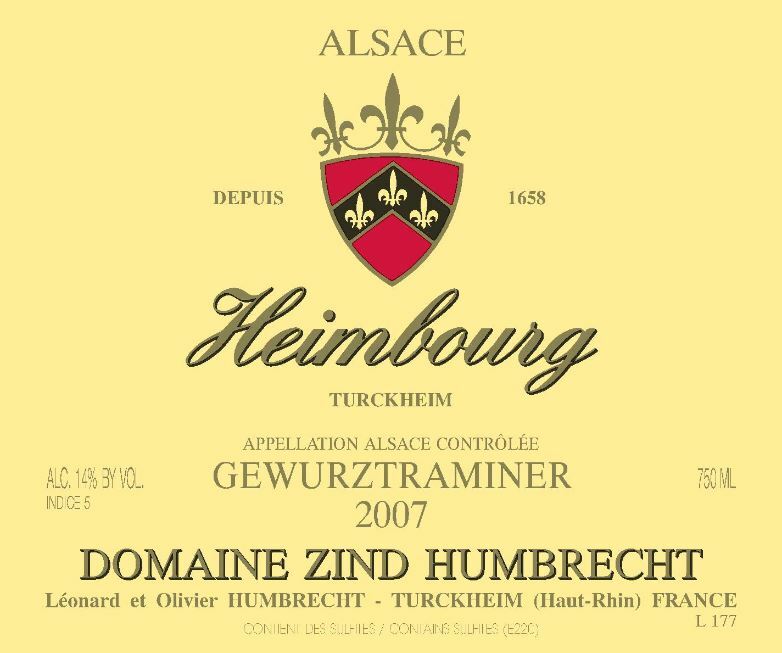 Located on the lower west facing part of the Heimbourg, the gewurztraminer was chosen there because the soil is richer and slightly more protected from the winds. We thought that it would also be interesting to see this grape variety in a late ripening situation, perhaps perfect also for noble rot, and capable of keeping good acidity. In 2007, it took the intense sun of end of August and September to allow those grapes to finally reach some excellent ripeness level. October brought a finishing touch, allowing the noble rot to develop and intensify the flavour of the grapes. Gewurztraminer is perhaps a grape that can reach quickly a high alcohol richness, it nonetheless needs a long maturation time in order to ripen the tannins and allow the aromatics to become complex. The fermentation was slow and the wine kept a lot of residual sweetness. 2/2009: the nose is typical of a late harvested gewürztraminer: it shows a combination of floral aromas and lots of honey, spices and some white pepper. Perhaps still a little bit reductive, due to long lees contact, this Heimbourg will take some time to fully wake up. The palate comes as a surprise, because the nose doesn’t indicate that it will be that rich. The finish is elegant, round and fresh. Again, this wine illustrates how well balanced 2007 is.